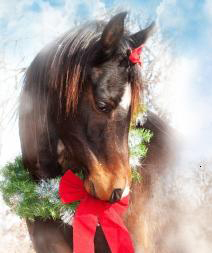 Was there a horse on your wish list for Christmas? And did Santa manage to get it down the chimney? Ho, ho, ho – probably not, but you rushed to the stable to see that your wish did come true! There is something you can do to cushion the expense of veterinary treatment for the unexpected injury or illness that could be a burden not anticipated. Your horse insurance mortality policy may include a major medical endorsement, if the latest eligibility requirements are met. Surgical or colic endorsements to the policy are options worth consideration. Look into private horse owner equine liability insurance also as it may be excluded on your Homeowners policy. It is important to know you’re protected – discuss your needs and the options available to you with your agent.